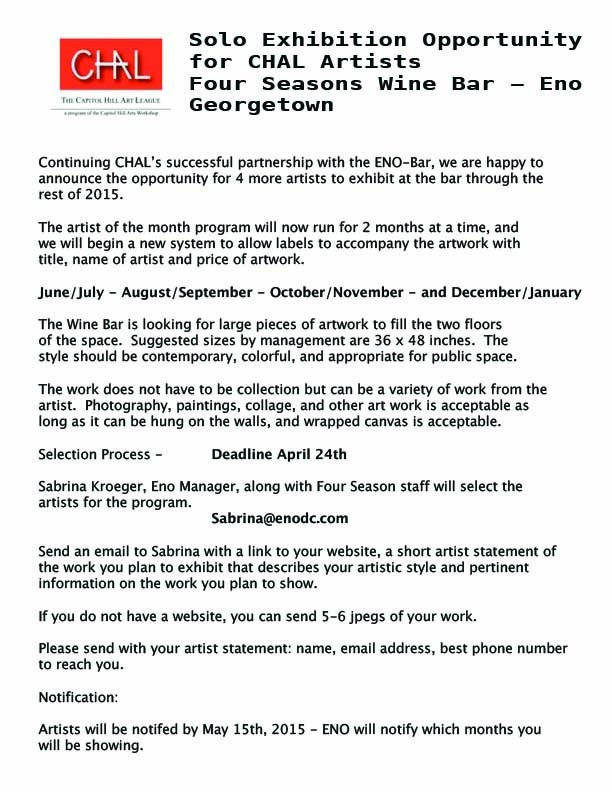 Continuing the successful partnership with the ENO Wine Bar, CHAL is happy to announce the opportunity for four more CHAL artists to exhibit at the Wine Bar through the rest of 2015. Each exhibit will run for two months, and so the time slots are: June-July, August-September, October-November, and December-January 2016. The Wine Bar is looking for larger pieces of 2D artwork to fill the two floors of the space. The style should be colorful, contemporary, and appropriate for public space. The deadline is April 24th. Artists will be notified by May 15th. For full details and instructions on how to enter, download the prospectus here. This exhibition opportunity is only for current 2014-15 season CHAL members. This entry was posted in CHAL Artists Opportunities, CHAL Exhibitions on March 31, 2015 by chal. For Capitol Hill Art League members only. This entry was posted in CHAL Artists Opportunities, CHAL Exhibitions on March 15, 2015 by chal. About the Juror: Mary Ellen Vehlow is co-owner of Gallery O on H Street and principal in Pensare Design Company in downtown Washington, DC. Mary Ellen has co-curated exhibitions for the American Visionary Art Museum in Baltimore. AVAM is an art museum located in Baltimore’s Federal Hill neighborhood, which specializes in the preservation and display of visionary art (also known as outsider art). It has been designated by Congress as America’s national museum for self-taught art. This entry was posted in CHAL Artists Opportunities, CHAL Exhibitions on March 14, 2015 by chal. CHAL artist Tati Valle-Riestra presents Works on Paper, the seventh solo exhibit in a series of CHAL artists at ENO, the wine bar managed by the Four Seasons Hotel. The location is 2810 Pennsylvania Avenue NW, Washington DC. This exhibit runs through March 31st. Meet the artist at the exhibit reception on Sunday March 22nd, 5:30-7:30. This entry was posted in CHAL Exhibitions on March 11, 2015 by chal. This June CHAL member artists and CHAW faculty have the fabulous opportunity to exhibit work at one of the most lovely art galleries in the Washington DC Metro region – Arts/Harmony Hall Regional Center. 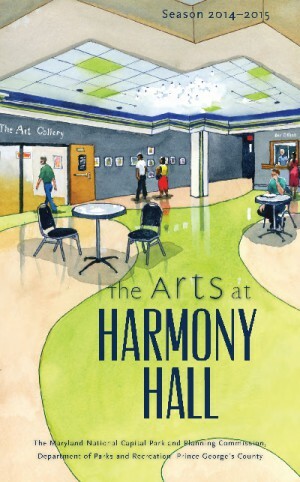 Arts/Harmony Hall is managed by the Maryland-National Capitol Park and Planning Commission and supported by a grant from the Maryland State Arts Council. The Art Gallery, with over 200 linear feet of wall space has been specifically designed as a fine art Space and allows for a variety of sizes and media to be exhibited successfully. The dates of the exhibit are June 1st through July 24th, 2015. There is no fee to submit to this exhibit. Please note: The deadline for submissions has been extended to Friday April 10th. All other information in the prospectus remains the same. Artists will be notified by April 30th. For full details on the exhibit and how to submit, please download the prospectus here. This entry was posted in CHAL Artists Opportunities, CHAL Exhibitions on March 7, 2015 by chal.